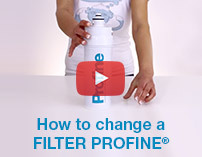 PROFINE® ARSENIC removes arsenic concetration. 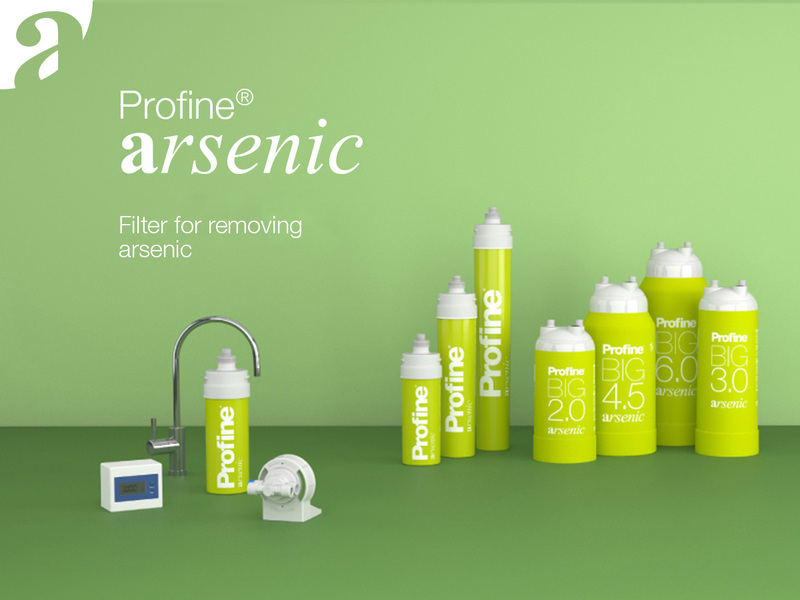 Selective arsenic resin and last phase of filtration obtained with Profine® Carbon Block technology mixed with silver ions with a filtration of 0.5 microns for bacteriostatic action. Use for the removal of arsenic from drinking water with a concentration of 50 µg/l. 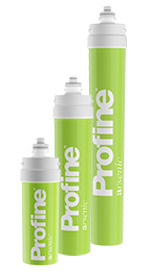 PROFINE® ARSENIC is suitable for drinking water that exceeds the Arsenic (III and V type) concentration limit (10 μg/l). The cartridge must be mounted in a vertical position. may vary based on arsenic concentrations of incoming water and flow rates. NSF 61 and WRAS standards; the rest of the components that come into contact with water that comply with Ministerial Decree 174/2004. 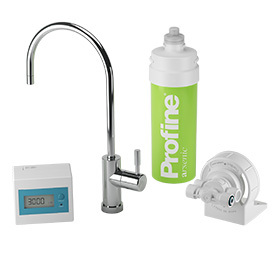 Installation kit, tap and digital liter counter kit with fittings included. 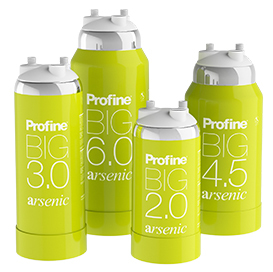 BIG PROFINE® ARSENIC is part of a wide range of Profine® products tested and designed to meet all needs. It is ideal in professional use where large quantities of refined water are necessary. The cartridge must be installed in vertical position. Use only in-out 3/8” female connection. Flow rates and autonomy calculated with concentrations of 50 μg / l of arsenic. We recommend replacing the cartridge at the end of its nominal range, or if the output flow ate is too slow. It’s better that you replace the cartridge within 365 days of its installation. Before removing the cartridge, close the upstream water inlet and eliminate the pressure in the circuit by opening the downstream tap. To activate the cartridge correctly, open the inlet valve and supply water for at least five minutes before drinking it.